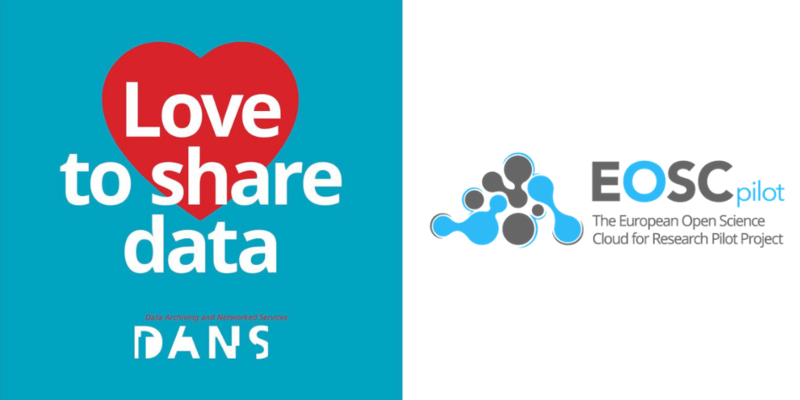 On Valentine’s Day, 14 February 2019, the institute Data Archiving and Networked services (DANS) organised the workshop “Open Day on Open Science: Love to share data”. The gathering was co-hosted by the Horizon 2020 project OpenAIRE Advance, the KNAW Young Academy, the Netherlands PhD Network and the RDA NL National Node. Topics included open research data, research data management (RDM), data archiving, data reuse and the European Open Science Cloud. There were about 110 attendees, mainly researchers and data professionals from universities and colleges in the Netherlands, but also from abroad. DANS director Peter Doorn kicked off the afternoon by presenting the various services that DANS has to offer to help researchers archive and share their research data. These services are: DataverseNL, for storing research data during research; EASY, an online archiving solution for data storage after research; NARCIS, the national science portal, which harvests metadata of research data as well as open access publications in the Netherlands; and Training and Consultancy in the field of RDM. The presentation of the KNAW Young Academy, given by Rens van de Schoot (Utrecht University), focussed on data fabrication and transparent research steps. On behalf of the Netherlands PhD Network, Rob van Gassel (Maastricht University) gave an interesting presentation on open science for young researchers, in which he also referred to Plan S and its impact on researchers. He indicated training and support requirements, and pointed to the need to reward researchers for open access publishing and to foster ‘data enthusiasm’ among young researchers. Elly Dijk from DANS and OpenAIRE’s National Open Access Desk (NOAD) gave a presentation on OpenAIRE and other projects, like EOSCpilot, that are involved in the development of the European Open Science Cloud. She outlined the assistance that OpenAIRE can offer to researchers, repository managers and others. This is not restricted to the requirements of the European Commission with regard to open access publishing and the open data pilot. OpenAIRE also provides broader valuable support with regard to open access publications and open data. Typical examples are the webinars and online guides in the field of RDM. Both EASY and NARCIS are harvested by OpenAIRE, which means that OpenAIRE provides an overview of the Dutch open access scientific output. Subsequently, there were presentations by seven researchers from various research institutes in the field of collecting and sharing research data. The day ended with a pub quiz. Prior to the program and during breaks, the information market was crowded. There was much attention for the EOSC related projects such as EOSCpilot, OpenAIRE, EOSChub and the new project FAIRsFAIR. Other stands were dedicated to the DANS core services EASY, DataverseNL and NARCIS; DataTags/GDPR, RDM training; the RDA NL National Node; and more. The bottom-up Open Science Community, in which several universities participate, was also represented. See for more information, programme and presentations the website “Open Day on Open Science: Love to share data”.